iOS 6 went live today and with it a new feature called Passbook, basically a central repository for coupons, airplane tickets, loyalty cards and other types of digital coupons. Now, Passbook can detect and automatically import these digital items from your email messages and on the web sites you visit. Third-party apps that support Passbook work just as you’d expect. You don’t really need to do anything. Simply continue buying stuff in your apps, as before. Those that have Passbook support implemented will automatically add passes to the Passbook app. For example, the updated Target shopping app now allows customers to add free coupons to Passbook. The first time the Passbook app is launched, the main screen pops up with the App Store button sitting at the bottom. Tapping the button launches the App Store client on the device with the Passbook section. There seems to be a great deal of confusion surrounding Passbook because all people see upon launching the app is the congratulatory screen. The app is empty as Apple did not include sample coupons like with iOS 6 Betas, which I find surprising. I also heard complaints about the “Could not connect to App Store” error when hitting the App Store button within the app (problems with iTunes servers, wait a little). At press time, not a whole lot of Passbook-enabled apps were available. Those with Passbook support enabled include Fandango Movies, Live Nation, Lufthansa, MLB.com at Bat, Sephora to Go, Ticketmaster and Walgreens. I was surprised to learn that Apple did not update its own Apple Store app with Passbook support, despite releasing new versions of iLife and iWork apps and refreshing a whole lot of its other apps earlier today. 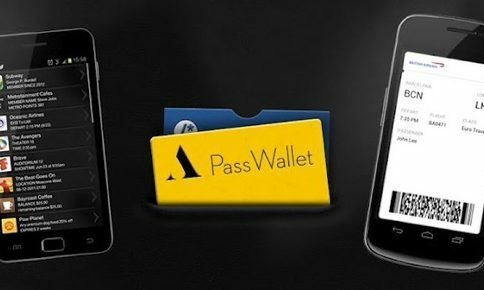 Other companies supporting Passbook include Delta Airlines, American Airlines, United Airlines, Amtrak, W Hotels, Starwood Hotels, Starbucks Target and Apple’s brick-and-mortar stores. Unfortunately, I couldn’t find a dedicated link on the main App Store page to access the Passbook section, but it’s fairly safe to assume Apple could add it by updating the iTunes backend at a moment’s notice. Another note: today’s OS X Mountain Lion 10.8.2 update has added the ability to add passes to Passbook on your iPhone or iPod touch from Safari and Mail on your Mac. 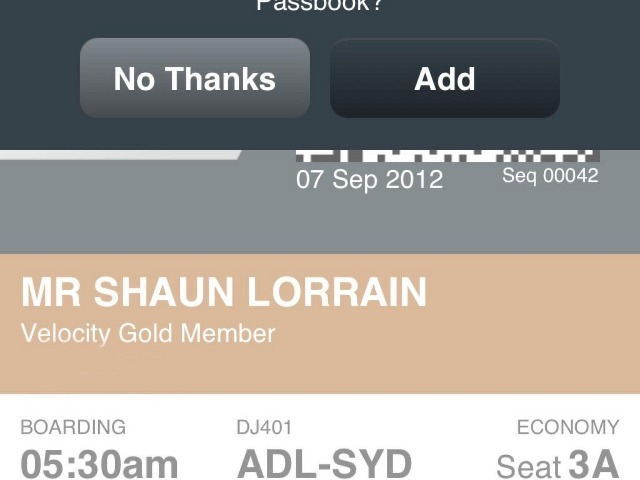 If you just want to fill your Passbook with some dummy passes, check out PassDock.com. 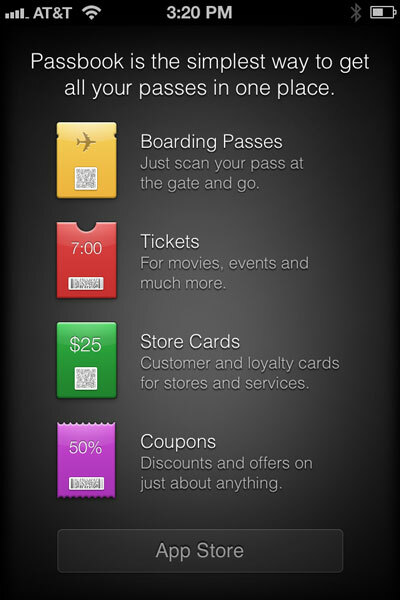 Check out Jeff’s detailed overview of how Passbook works in iOS 6. How do you like Passbook so far?